Six for Brady or revenge for the Rams? The DAZN team have been out in Atlanta this week preparing for one of the most-watched sporting fixtures in the world, the Super Bowl. Working with the likes of former NFL punter Pat McAfee producing original content, DAZN is committed to giving sport fans across the world the best viewing experience wherever they’re watching. This weekend we’re proud to bring the Super Bowl to fans in Canada, Germany, Austria, Switzerland, Italy and Japan. At the Mercedes-Benz Stadium in Atlanta, on Sunday 3 February, one of two things will happen. 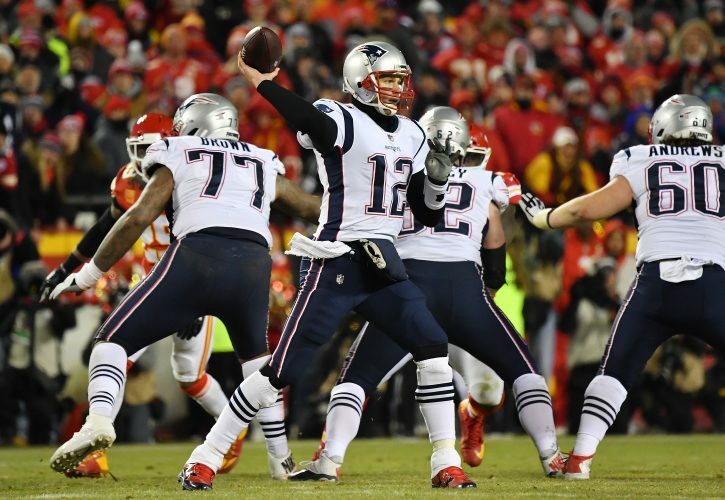 Widely considered as the best quarterback ever, Tom Brady will make NFL history by claiming a sixth Super Bowl ring or NFC West champions LA Rams will exact revenge on the Patriots and screech to a halt arguably one of the most remarkable seasons of Tom Brady’s career. 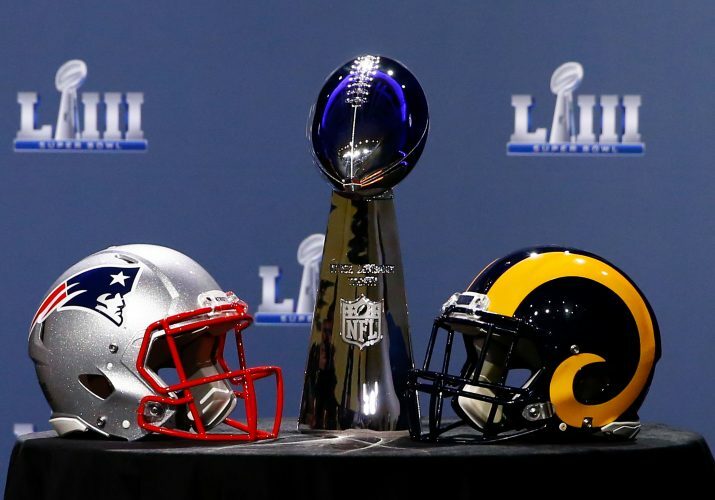 Victory will taste even sweeter for the Rams if they’re able to step up, as this will be the second all-time playoff meeting between the two teams, the other coming in Super Bowl XXXVI, when the Patriots won 20-17 – the first of five Super Bowl titles of the Brady-Belichick era. 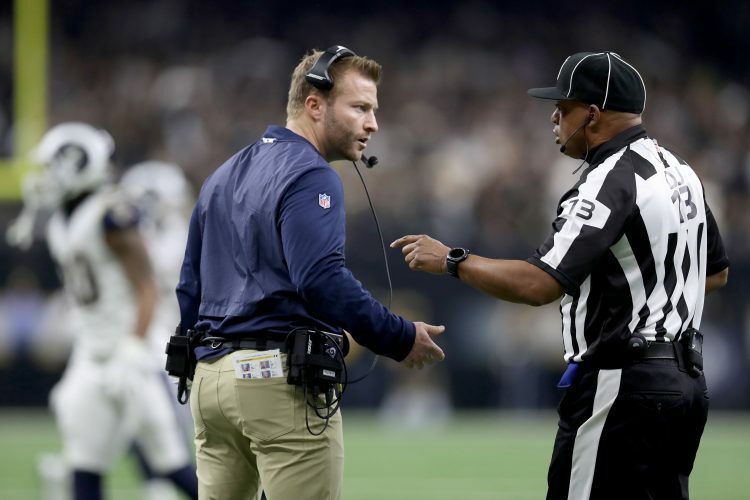 If superstitions run true then Sean McVay’s LA Rams may be lifting the Vince Lombardi Trophy, as the last three teams to advance to the Super Bowl by an overtime field goal – as the Rams did – have gone on to win the final. In addition to Brady’s stellar season, several other of the Patriot’s collective have turned up in both regular and postseason. Running back Sony Michel is the third rookie with back-to-back 100+ yard rushing games and has set the rookie postseason rushing touchdown record with five this year. Postseason specialist Julian Edelman is one of two players in NFL history with at least 100 receptions in the playoffs while running back James White (53) tied Marcus Allen for the fourth-most postseason receptions all-time by a running back against the Kansas City Chiefs. New England’s Rob Gronkowski, known by the wider NFL community as Gronk, is the first tight end with 1,000+ receiving yards in the playoffs. He needs one receiving touchdown to break a tie for the second-most in postseason play. Going into the game as slight favourites, the Patriots will be feeling confident stepping out in Atlanta with part man part superhuman Tom Brady leading the charge – hoping to snag his sixth ring and help the Pats level the Steelers (6) in all time Super Bowl wins. For the Los Angeles Rams and their 1-2 record in the Super Bowl, the Patriots will be a familiar foe at the final. The greatest show on turf, a tagline given to the 1999-2001 LA Rams team during their dominance during the turn of the century, were met by Tom Brady’s Patriots in Super Bowl XXXVI – shocked with a 17-20 loss and toppling the dominant franchise. 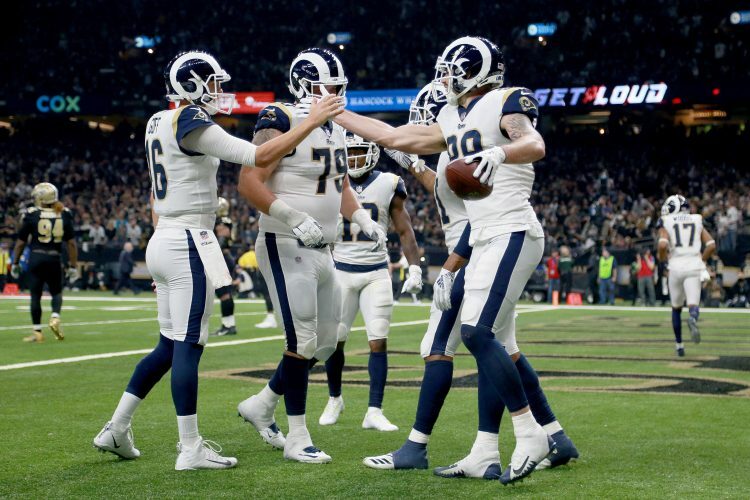 The 2018/2019 season has seen a new turn of fortune for the Rams, having held opponents below 50 rushing yards in each playoff game this year, something they did once from the start of the 2017 season through the 2018 regular season. Averaging a league-best 175.0 rushing yards per game in post season – only one team since 2005 has averaged more in a single postseason – the Rams are set to peak on 3 February when facing the ominous Patriots outfit. Los Angeles’ Jared Goff is one of two quarterbacks with 90+ career postseason passes to throw one-or-fewer interceptions, with former Patriot wideout Brandin Cooks one of two players to record a 100+ yard receiving game in each of the last two postseasons. Completing a dangerous trio for the Rams, Dante Fowler has recorded at least 0.5 sacks in three straight playoff games dating back to last season, tied for the longest active streak in the league. With both the 2001 and 2018 outfits featuring dominant offences, the Rams will be hoping 2019 brings a different turn of fortune for the franchise and its devoted fans.